The JBIPL Blog offers a forum for our Editors and Staff to expand our coverage of developments in both business and IP law. The Blog will provide short entries analyzing current cases, trends and issues in business and IP law. 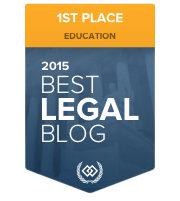 The Blog has won the The Expert Institute's 2015 and 2016 Best Legal Blog Contest for Education and Law School Blogs. Disclaimer: The views and opinions expressed in this blog are those of the authors and do not necessarily reflect the official policy or position of the Court, its judges, or Wake Forest University School of Law. On March 21, 2018, Judge Gregory P. McGuire, a North Carolina Special Superior Judge for Complex Business Cases, ruled that a private corporation’s adoption of a Shareholder Rights Plan that distinguishes between members of the same class of stock was unlawful under §§ 55-6-01(a) and 55-6-24(b) of the North Carolina Business Corporations Act (“NCBCA”). This decision was the outcome of a motion for preliminary injunction brought by First Citizens Bancshares Incorporated against KS Bancorp Incorporated. KS Bancorp is a privately traded company in which First Citizens owns about 9% of the outstanding shares. First Citizens expressed a desire to merge with KS Bancorp on two separate occasions and KS Bancorp rejected the merger both times. Subsequently, First Citizens obtained approval from the Federal Reserve to purchase a large percentage of KS Bancorp’s shares and began making offers to shareholders to purchase their shares. In response to First Citizens shareholder solicitations, KS Bancorp adopted a shareholder rights plan commonly known as a poison pill. The poison pill could be activated at the sole discretion of the KS Bancorp Board when any party acquired beneficial ownership of 15% or more of KS Bancorp’s common stock. Once activated all shareholders of KS Bancorp except for the acquiring shareholder would be allowed to purchase shares at 50% the current per share market price. In order to avoid triggering the poison pill, First Citizens stopped purchasing additional shares and filed its complaint to have the poison pill declared unlawful. The Court was tasked with determining whether both public and private corporations are permitted to enact poison pills or whether the privilege is restricted to public corporations. To make this decision the court analyzed the plain meaning of §§ 55-6-01(a) and 55-6-24(b) of the NCBCA and concluded, “only public corporations as defined by the NCBCA are authorized to adopt poison pill shareholder plans that ‘preclude or limit,’ ‘invalidate or void,’ or otherwise discriminate between the rights attached to shares within the same class of stock.” The Court acknowledged that some jurisdictions have allowed both public and private corporations to adopt poison pills but stated that the North Carolina General Assembly would have been aware of that fact and still chose to limit the authority of poison pill plans to public corporations. KS Bancorp attempted to allow all shareholders of the common stock to purchase shares at 50% the current per share market price except for the acquirer, therefore, not all members of the common stock class were given identical “preferences, limitations, and relative rights”. Under KS Bancorp’s plan, an acquirer would be uniquely limited compared other shareholders of the same class which would constitute impermissible discrimination in violation of § 55-6-01(a) of the NCBCA. However, if KS Bancorp was a public corporation, then KS Bancorp’s poison pill would have been a permissible exception to § 55-6-01(a) under § 55-6-24(b) of the NCBCA. The takeaway is that a private corporation may not adopt a poison pill plan that attempts to “‘preclude or limit,’ ‘invalidate or void,’ or otherwise discriminate between the rights attached to shares within the same class of stock. Earlier this year, Wake Forest University School of Law was privileged to host the North Carolina Court of Appeals, for the 26th consecutive year, to hear oral arguments on campus and allow for students to learn and observe. Judge Wanda Bryant, Judge Richard Dietz, and Judge Phil Berger, Jr. made up the panel and heard oral arguments for State v. Steele (17-868, Forsyth). When a business court decision is appealed there are several rules that must be adhered to, that differ from the ordinary appellate review. The 2014 Business Court Modernization Act permits appellate review directly to the state supreme court for actions that are mandatory complex business cases on or after October 14, 2014. Not all Business Court matters fit the mandatory complex business status and therefore cases without that designation must be appealed to the state court of appeals. One of the most important things to remember when choosing which jurisdiction to appeal in is that you must have a record that demonstrates the reasons you thought appealing to that court was correct rather than actually appealing to the correct court. The case heard this semester was not an appeal from a Business Court decision but presented an evidentiary issue with constitutional implications. At issue, in this case, is whether testimony given, during the course of Steele’s trial, by a police officer about statements made to him by a confidential informant was hearsay evidence. In this case, the trial court judge gave a limiting instruction to the jury stating that the testimony by the police officer was not hearsay, and could only be used by the jury to understand the reasons for how the police obtained the evidence and not to be used to prove the truth of the matter asserted. However, appellant’s counsel argued that the officer’s testimony might have originated as non-hearsay but that it was transmitted into hearsay due to the level of detail in which the evidence was presented. This hearsay distinction is extremely important because if the testimony was testimonial hearsay then the 6th amendment right to confrontation is implicated and the appellant would have a constitutional right to confront and cross-examine the confidential informant. The State’s attorney reminded the court that all evidence is prejudicial, that the Supreme Court held in Crawford v. Washington when evidence is not hearsay the Confrontation Clause is not implicated and FRE 404(b) allows for the evidence to be used for a purpose other than the truth of the matter asserted when a limiting instruction is given, and that we are bound to presume the jurors headed the instruction. He stated because the limiting instruction was given the officer’s testimony was not hearsay, but rather was used to show why the police obtained the search warrant and conducted the search which the Supreme Court has said is useful information for jurors to know. Neither the of the counselor’s or any of the judges were aware of any case law where evidence was offered for a proper purpose and then was reversed due to a problem with the level of detail provided. It may be that there are no cases in the past that have risen to the level of detail indicated in this case or it is possible that there simply is no merit to appellant’s counsel’s suggestions. The resolution of this case may impact the future of how limiting instructions and police officer’s testimony regarding confidential informants are used in the state of North Carolina. The Court of Appeals may either restrict the level of detail a police officer may testify about when relaying what a confidential informant told him or the court may take a more expansive approach and allow police officers to testify in great detail about a what a confidential informant told him by relying on the safeguards of a limiting instruction. Special Superior Court Judge Michael Robinson recently release the K&M Collision, LLC v. N.C. Farm Bureau Mutual Ins. Co. opinion for the North Carolina Business Court, in which he ruled on the Defendants’ Motion for Judgment on the Pleadings. In making his decision, Judge Robinson decided not to adopt a bright-line rule for determining when an interference with contract is justified. This blog will discuss Judge Robinson’s decision. Plaintiff K&M Collision (“K&M”), a North Carolina auto body repair shop brought suit against Defendant Farm Bureau Mutual (“Farm Bureau”), a North Carolina auto insurance company, for tortious interference with contract. This claim arose after Farm Bureau allegedly induced third parties not to enter into contracts with K&M. In response, Defendants filed the Motion and a brief in support, seeking judgment on the pleadings and claiming that Farm Bureau’s interference was justified because it had a legitimate business interest in doing so. On November 14, 2017, in room 3206 of Worrell Professional Center, Judge Robinson held a hearing on the Motion. With Professor Dean’s pretrial class in attendance, Judge Robinson clearly explained the standard for which Defendants needed to prove to be successful on their Motion. Citing Peoples Sec. Life Ins. Co. v. Hooks, Judge Robinson explained that claims for tortious interference with contract and prospective economic advantage are properly dismissed under Rule 12(c) where the complaint shows that the interference was justified or privileged. The main problem Judge Robinson faced, however, was that North Carolina’s case law paints a less-than-clear picture of when a defendant’s interference is justified by a legitimate business interest. To make his decision, Judge Robinson dove into the numerous cases cited by the Defendants that favored the bright line rule. Ultimately, his skepticism was merited because, even though there is case law supporting this approach, it was used in procedurally distinct circumstances. In support of his ultimate conclusion, Judge Robinson cited a North Carolina Supreme Court decision where the Court unanimously held that “dismissal of a Plaintiff’s tortious interference with contract claim on a Rule 12(b)(6) motion was improper where plaintiff alleged that defendants’ conduct was not within their qualified privilege to interfere and there were questions concerning defendants’ motives.” Since Plaintiff’s Complaint and Defendants’ Answers demonstrated numerous material questions of fact remained as to Defendants motives for interfering, Judge Robinson decided that judgment on the pleadings, in this case, is unwarranted. Sloan v. Inolife Techs., Inc.
To be a success in the legal realm, confidence is key. Attorneys must be confident in their endeavors to protect or pursue client’s interests. However, there is a fine line between being confident and being overconfident. When an attorney crosses this line, his or her clients may be faced with having to foot the bill for their adversary’s attorneys’ fees. Special Superior Court Judge Michael Robinson decided this was the case in Sloan v. Inolife Techs., Inc.where he granted the Defendant’s Motion for Attorneys’ Fees pursuant to N.C. Gen. Stat. § 75-16.1. On March 7, 2017, Plaintiffs filed a complaint asserting a claim for unfair and deceptive trade practices (“UDTP”) against Defendants. The complaint alleged that Defendants stole Plaintiff’s stock in violation of N.C. Gen. Stat. § 75-1.1. Three days later, counsel for Defendants e-mailed the Plaintiff requesting they voluntarily withdraw their UDTP claim on the basis that it is “well established that claims involving securities cannot support a Chapter 75 claim.” In support of this contention, Defendant’s cited eight North Carolina cases that held securities transactions cannot be a basis for a UDTP claim. Additionally, the email stated that Defendants would seek to recover their attorneys’ fees incurred in defending against Plaintiffs’ UDTP claim under section 75-16.1, if Plaintiffs did not dismiss the claim within a week. On March 14, 2017, counsel for Plaintiff responded by stating there was nothing frivolous about the claim, and they would not be dismissing it. Accordingly, on April 6, Defendants filed their Motion for Attorney’s Fees. Eleven days later, Plaintiff’s voluntarily dismissed without prejudice their UDTP claim. Judge Robinson’s analysis was guided by section 75-16.1, which allows reasonable attorney’s fees upon a presiding judge’s finding that the Plaintiff knew, or should have known, the action was both frivolous and malicious. Judge Robinson found that, although Plaintiff’s counsel may not have known the claim was frivolous due to the well-settled securities exception at the time the Complaint was filed, they knew or should have known by March 14 – the date they responded to Defendants letter requesting they withdraw the UDTP claim. Additionally, Judge Robinson found that Plaintiff’s counsel knew or should have known that continuation of the claim following the receipt of Defendants March 10th letter was malicious because it was done without just cause. Accordingly, by citing McKinnon v. CV Indus., Inc., Judge Robinson held Defendant was entitled to attorney fees because Plaintiff knew or should have known their UDTP claim was frivolous and malicious. On Wednesday, September 20, 2017, Wake Forest University’s Business Courtroom had the special privilege of hosting the U.S. Court of Appeals for the Fourth Circuit as they heard oral arguments for the case of McKinney v. G4S. The case came before the Fourth Circuit after McKinney appealed a district court order granting G4S’s Rule 56 motion for summary judgment on his claims for hostile work environment, retaliation, and intentional infliction of emotional distress. The Fourth Circuit bench seemed most concerned with G4S’s affirmative defense in respect to McKinney’s hostile work environment claim. In May 2013, John McKinney, an African-American man, complained to his employer, G4S Government Solutions, Inc., (“G4S”) after a coworker presented him with a hangman’s noose and used a white sheet to mimic a Ku Klux Klan hood. McKinney also informed G4S that he had been experiencing harassment since 2011 and that a Confederate flag that was on display had offended him. In response, the coworker was fired, the Confederate flag was removed, and the president of G4S visited with McKinney where he gave him his personal number so he could contact him at any time. In addition, G4S conducted an investigation into the matter by interviewing over 30 employees where one informed them that the noose had surfaced once back in 2009. In the district court, G4S conceded that McKinney had made out a prima facie case for hostile work environment but asserted the Faragher/Ellerth affirmative defense, which the court determined G4S was entitled to as a matter of law. Under this affirmative defense, an employer may escape liability by establishing that: (1) the employer exercised reasonable care to prevent and promptly correct harassing behavior; and (2) that the plaintiff failed to take advantage of the preventative or corrective opportunities that the employer provided. These two follow up questions very likely were the daggers in the heart of McKinney’s claim because it revealed that he could not establish G4S had any knowledge of harassment prior to his complaint in 2013. Since McKinney could not establish this fact, the Fourth Circuit will likely uphold the district courts ruling. Looking forward, this case is a great example of how businesses should handle these types of hostile environment claims. As Judge Duncan noted, “it could be argued that these facts are a model for employers on how to react.” Any report of harassment should be dealt with swiftly by employers, leaving no room for a hostile work environment claim. Editor’s Note: the Fourth Circuit issued its decision on October 19, 2017. Judge Duncan wrote the unpublished opinion and affirmed the district court’s judgment, granting summary judgment in favor of G4S on all counts. Starting this Fall 2017 semester, utilizing this resource will become easier than ever as Wake Forest’s Journal of Business and Intellectual Law (“JBIPL”) is proud to bring you blog updates on the decisions of the North Carolina Business Court. 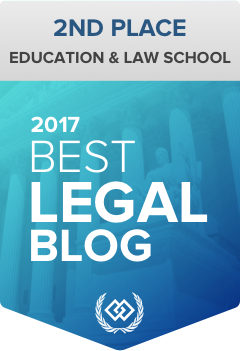 Throughout the semester these blogs will offer an overview of the Court’s various decisions and provide analytical insights on how they might shift the framework of business law in the state. For this first blog, the aim will be to provide our readers with a brief overview of the North Carolina Business Court and to give some tips to those wishing to make the trek up to the third floor to watch the law in action. What is the Business Court? The North Carolina Business Court is an administrative division of the General Court of Justice. It handles cases involving complex and significant issues of corporate and commercial law. The cases are designated by North Carolina Supreme Court Chief Justice Martin to Judge Robinson who oversees all aspects of the case from the time of designation through trial or other resolution. For more information on the Court, please visit its website and, for students, stay tuned to your “WHTW” emails courtesy of SBA for updates on the upcoming docket. Also, to learn more about Judge Robinson and the “I like Mike club” visit here. Before you go: As previously mentioned, the cases before the court involve complex and significant issues (emphasis added). To get the most out of your visits to the courtroom, and to save yourself from feeling like you are listening to a foreign language, try to familiarize yourself with the specific issues before the court that day by visiting here. Attire: There is no formal dress requirement so feel free to dress casually. Coming right from class in jeans and a tee is fine. Do keep in mind that you are a representation of the Wake Forest community, so if the sun is out one day and you decide to let the guns out, it might be a good idea to sit that one out. Entering: Feel free to stay for as long or short as you please. Judge Robinson has no problem with you coming and going at your discretion. Do keep in mind that the entrance to the courtroom comes from behind the stand so it may be awkward at times to enter if an attorney is in the middle of an argument. To avoid this, watch the monitor outside the courtroom before entering so you can come in at a more appropriate time. JBIPL is excited to begin this new segment to its blog this semester, and we hope you will enjoy the updates we plan to provide from the North Carolina Business Court. Stay tuned for the latest and greatest happenings on all things business law! Ralph D’Agostino is a second-year law student at Wake Forest University School of Law. He holds a Bachelor of Arts in Economics from Syracuse University. He is currently a North Carolina Business Court blogger for the Journal of Business & Intellectual Property Law at Wake Forest University.